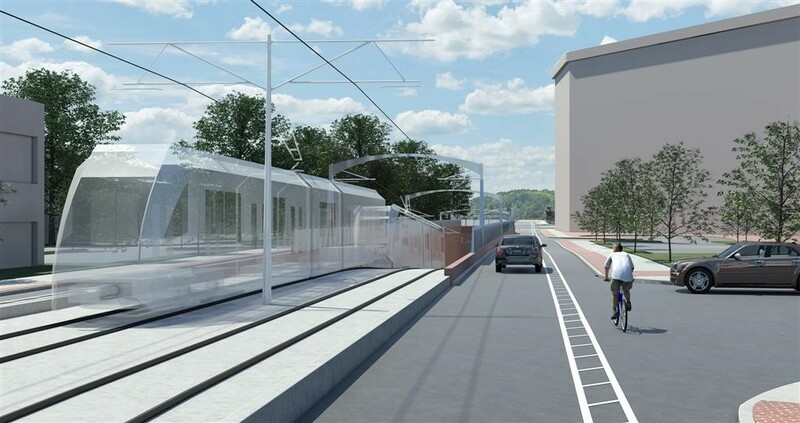 Decision time is nearing on the future of Baltimore’s planned Red Line rail route. Will Gov. Larry Hogan Jr. be celebrated as a hero or lambasted as a goat? That question has hovered over the Republican governor ever since he won election last November. Will he appease his conservative followers and live up to his campaign pledge to kill both the Red Line and the Purple Line in suburban Washington? Such a move would be a stunning waste of half a billion dollars in state taxpayer dollars already spent. But think of the message it would send to the Tea Party crowd and Republican ideologues who coalesced around Hogan for his budget-cutting pledge. Yet it would end any chance of détente between Republican Hogan and the heavily Democratic General Assembly. Such a crushing blow to the three largest Democratic jurisdictions would guarantee all-out warfare — and gridlock — over the next three years in the State House. Even worse, Hogan would look like a heartless ogre turning his back on impoverished Baltimore right after the dreadful damage during April’s civil unrest. The governor’s recent, all-out embrace in Japan of magnetic levitation high-speed trains between Baltimore and Washington was the sort of mistake a rookie politician makes. Does this mean Hogan supports an unproven technology with a minimum price tag of $10 billion (under the fiction the state wouldn’t pay anything) but not the far more important — and cheaper — Red and Purple Lines? Adding an inside-the-beltway, east to west light-rail route between Montgomery and Prince George’s counties makes enormous sense. Commuting would prove far easier for tens of thousands of people living in those heavily populated suburban communities south of the Capital Beltway. It also would serve poor minority neighborhoods in those two counties. These are the Marylanders who need rapid transit the most. However, the Washington region already has an extensive Metro system heavily financed by the federal government. If the Purple Line fades to black under Hogan, it’s not a crushing blow. It would be a stupid move politically and from an economic development standpoint — and a waste of hundreds of millions already spent. But it would hardly be a calamity. On the other hand, deep-sixing the Red Line would be another nail in Baltimore’s’ coffin. The region lacks a legitimate rapid-rail system. It’s got a Toonerville Trolley of a light-rail route running north-south, from Hunt Valley to the outskirts of Glen Burnie. And it’s got a heavy-rail subway between Johns Hopkins Hospital and Owings Mills in northwest Baltimore County. Sadly, the two lines don’t connect. There is no fixed rail route through East or Northeast Baltimore, no rapid rail available to residents of West Baltimore where the disturbances took place. The Red Line would create an imperfect but viable rail system. East and West Baltimore residents could quickly and easily commute across town as well as north-south. Thousands of workers employed at Social Security headquarters and the Centers for Medicare and Medicaid Services in Woodlawn would have fast, convenient train service to their campuses. The woeful Security Square Mall in western Baltimore County would be given new life for residential, commercial and retail purposes. The Red Line also would serve nearly every recreational and cultural event in downtown Baltimore. For West Baltimore residents desperate for jobs, the Red Lines would be a crucial help line. Employment centers in diverse parts of the region suddenly would be within reach by rail connections. The 19 Red Line stations could become catalysts for small-scale economic growth and job-creation, too. That’s what has happened in other cities as new rail-transit lines open. Let’s not forget, as well, the enormous economic boost that the Red Line and Purple Line would give Maryland’s still-lagging economy. The Red Line alone means 10,000 direct construction and related jobs — all of them paying solid wages. These workers would earn $540 million, at a minimum, as the line is built. The economic impact is far larger if indirect jobs are counted. For once, Baltimore would have a connected mass transit system, a key lacking ingredient in its attempt to attract the car-less, millennial generation to Charm City. Here’s another reason why Hogan’s rejection of the Red Line or Purple Line would be penny wise and pound foolish: There’s nearly a billion dollars of federal funds already budgeted for the two projects. If Hogan tosses the planned routes in the waste can, all that federal money disappears. Maryland then goes to the back of a long line of cities seeking funds for mass transit projects of their own. New transit lines in Maryland would be set back a decade or more. Yes, Hogan campaigned as a foe of the Red and Purple lines. If he’s smart, though, he will wiggle out of that bind by finding ways to trim construction costs and requiring a larger local match. We tend to forget that while rapid rail is expensive to build initially — $3 billion for the Red and Purple lines — those tracks will serve the Central Maryland community, where most of the state’s citizens live, not for decades but for centuries. The London Underground, with 270 stations, is over 150 years old and more popular than ever. Governors must make hard, difficult choices. Giving the go-ahead on the two rapid rail lines might prove temporarily uncomfortable for Hogan but it is clearly the right thing to do — for future generations of Marylanders and for his own place in the history books.